The Blueair 403 HepaSilent Air-Purification System best fits for all households especially those whose family members are suffering from asthmas, allergies or other respiratory illnesses. You can never tell when allergens strike that is why it is important to armor yourself and your family with a product that does its job very well. Having an air purifier at home ensures clean, safe and fresh air all the time. As one of the best Blueair products it has the right to showcase its amazing features. 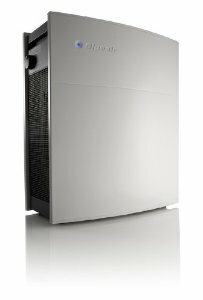 It traps six times more dirt than other air purifiers. It is equipped with the best filtration system that removes 99.97% of allergens and airborne particles from the air. Its polypropylene filters trap the smallest particles up to 0.1 microns that are totally invisible to the naked eye. It helps minimize the ozone level indoor. Not only this, but the product emits zero ozone as well. Protecting the environment is number one on the manufacturer’s priorities. It consumes less energy and power. With a high-performance machine you might think that it uses a lot of energy but in fact, running this product continuously for a week uses energy equivalent to the energy use by one light bulb. It passes the guidelines and standards set by the Department of Energy. It is a silent worker. It generates very low sound, a sound that is barely there. This provides the family a very peaceful ambiance while enjoying cleaner air. It is tested and approved. It garners an excellent rating during the clean air delivery rate conducted by the Association of Home Appliance Manufacturers. It cleans the air five times every hour in spaces with up to 365 square feet. The Blueair 403 HepaSilent Air-Purification System works hard to provide you with the cleanest air all the time. It is durable and well-designed. The design is one factor that must be considered because you do not want to have an item in your house to look like a junk. It is made from powder-coated galvanized steel to last for a long time. It is easy to clean as well. The Blueair 403 HepaSilent Air-Purification System can maximize its work by setting it to a higher speed. Nonetheless, whatever speed it is set you are treated all the time with allergen-free and odor-free air. You can already see big improvements on the quality of air in your home. The only thing that worries some customers is its size. It requires a little more space compared with other ordinary air purifiers. But other than this, this product is simply the best.